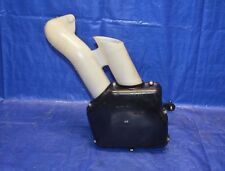 93-97 SUBARU IMPREZA INTAKE SILENCER SNORKEL. 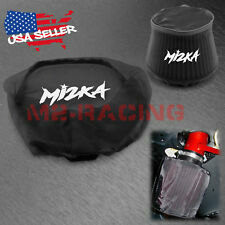 Up for sale is a used Impreza intake silencer. This was removed from a 1994 Subaru Impreza wagon with a manual transmission. Rally Armor 1993-2001 Subaru Impreza Models. 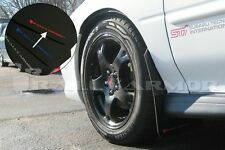 UR Rally Mud flap w/ Red logo. 1993-2001 Subaru Impreza ( GM6,GM8,GC8, GF8). 1993-1997Subaru Impreza. RELATED PRODUCTS. Discover Network. Master Card. compatible vehicle(s). 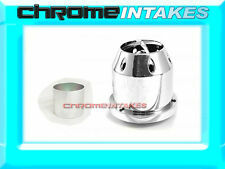 Weapon-R Dragon Intake System For 1990-1998 Subaru Impreza 2.2L 2.5L/Forester 2.2L 2.5L/Legacy 2.2L 2.5L. For The Best-of-the-Best, Top-Performing Intake on the market. highly rated intake systems in the world. 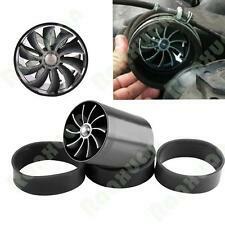 Weapon-R Secret Weapon RAM Air Intake System for 1990-1998 SUBARU IMPREZA 2.2L & 2.5L 1990-1998 SUBARU FORESTER 2.2L & 2.5L 1990-1998 SUBARU LEGACY 2.2L & 2.5L. Hands down, theSecret Weapon Intake is #1 ! Weapon-R 306-111-101 Secret Weapon IntakeWeapon-R 306-111-101 Secret Weapon Intake. The concept is to create two different air velocity profiles, one traveling at higher speeds than the other. The intake pipe is bent out of high quality 6061 Aluminum on our AutomatedCNC mandrel bender. Weapon R Dragon Intake Systems are one of the mostly highly rated intake systems in the world. Used in many countries in many different forms of racing. Also recently rated ?., outperforming Cold Air & Short Ram Intake systems, in the 2003 Tuner Performance Reports, Intake system Battle. Color: BLACK w/ "WRX" Vinyl Decal. NOTE: By default the vinyl decal will be Red --- Upon Request: blue /red /white /black is available. All item send back with out authorization will not be processed. DOES NOT include hardware (Universal). Color: RED w/ STi Vinyl Decal. Add some additional style and efficiency to your existing Mishimoto Performance Air Intake! This powdercoated, black airbox will divert more cold outside air into your Mishimoto intake! Made from durable steel and given a light glossy powdercoat, this airbox will also add a nice touch to your engine bay. And in some cases, provide a more accurate MAF reading for more reliable datalogging and tuning! The airbox comes with all additional protective edge strips and hardware to guarantee a clean install! 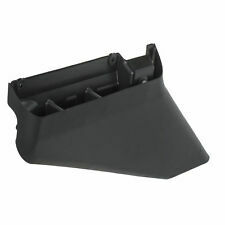 If used with the stock plastic intake duct, a template is provided for accurate trimming. As with all our products this airbox includes the Mishimoto Lifetime Warranty. 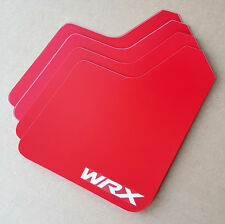 Color: RED w/ "WRX" Vinyl Decal. NOTE: By default the vinyl decal will be White --- Upon Request: blue /red /white /black is available. Best Deal in the Market! is cleared. Weapon-R Secret Weapon Intake System For 1990-1998 Subaru Impreza 2.2L & 2.5L/Forester 2.2L & 2.5L/Legacy 2.2L & 2.5L. Neo Titanium Design! Hands down, theSecret Weapon Intake is #1 ! Warranty included, 1 million miles. Color: BLUE w/ "WRX" Vinyl Decal. NOTE: By default the vinyl decal will be White --- Upon Request: blue /red /white /black is available. Color: BLUE w/ BLACK STi Vinyl Decal. The set has never been used or installed. We provide picture of the actual set. them and make them your own. Color: BLUE w/ WHITE STi Vinyl Decal. The set has never been used or installed. We provide picture of the actual set. them and make them your own. 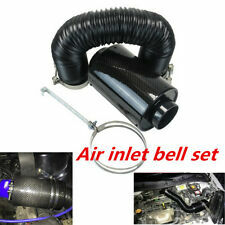 Provide increased airflow to your WRX or STI with the Mishimoto Subaru WRX/STI Race Air Intake. Mishimoto designed this intake to be as non-restrictive as possible, featuring a straight 2.75" short-ram intake pipe and designed with maximum airflow in mind. Engineered to fit on either your stock or Mishimoto turbo inlet tube, this intake is also compatible with most aftermarket front-mount intercooler kits. Due to the size of the intake pipe, a retune of your vehicle's ECU is necessary to keep your engine running safe and extracting the most horsepower from the added airflow. The intake pipe also features a CNC air diverter to provide consistent airflow readings to the MAF sensor, making retuning quick and easy. DOES NOT include hardware (Universal). Color: RED. Color: BLACK w/ STi Vinyl Decal. NOTE: By default the vinyl decal will be blue --- Upon Request: blue /red /white /black is available. Provide increased airflow to your WRX or STI with the Mishimoto Subaru WRX/STI Performance Air Intake. Mishimoto designed this intake featuring a straight 2.75" short-ram intake pipe designed with maximum airflow in mind. Engineered to fit on either your stock or Mishimoto turbo inlet tube, this intake is also compatible with most aftermarket front-mount intercooler kits. Due to the size of the intake pipe, a re-tune of your vehicle's ECU is necessary to keep your engine running safe and extracting the most horsepower from the added airflow. The intake pipe also features a CNC air diverter to provide consistent airflow readings to the MAF sensor, making re-tuning quick and easy. 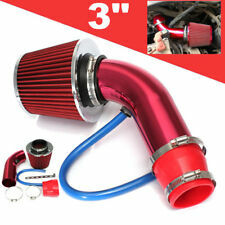 The intake pipe is available in a polished finish to accent any engine bay. DOES NOT include hardware (Universal). Color: BLACK. 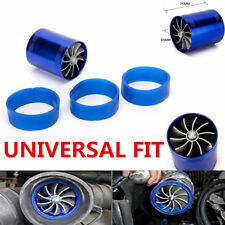 Fits all 1993-2001 Impreza coupe, sedan and wagon applications (GM6,GM8,GC8 and GF8 chassis). Moving forward a few years, we opened our first parts facility in 2006. We out grew that facility shortly after, and doubled the buildings size. The Mishimoto aluminum fan shroud is significantly lighter than the factory shroud and will improve engine functions and overall cooling efficiency. The Mishimoto aluminum fan shroud kit will provide substantial airflow for proper regulation of coolant temperature.